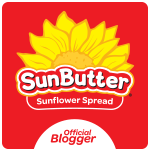 Smart Allergy Friendly Education: SunButter comments about using soy in plant...thanks for the info! SunButter comments about using soy in plant...thanks for the info! I recently had a great question from a parent on my SunButter blog. It was something I knew others may also be concerned about so I wanted to share the response we received. The mom commented that she almost bought SunButter, but saw that it is processed in a plant that uses soy, an allergen she is to avoid. I decided to contact SunButter themselves and find out more about their processing steps. Here's the response we received. Good question. What a lucky little baby to have you so conscientiously managing your diet! About the soy statement in SunButter. Here's the details: The only step of our processing that shares equipment with soy is the roasting step. This is the very first step of our process. The sunflower seed used to make sunflower is never roasted together with soy and there is a thorough cleanout process in between roasting soy and sunflower. The cleanout involves pressure washing with 180 degree water. Therefore the likeliness of any trace amount of soy present in SunButter is very small, but there still is a chance of contamination because of the shared equipment. Once the roasting is completed the sunflower is then processed (ground) into SunButter on our equipment that ONLY processes sunflower seed. 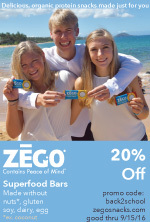 All of our processing facilities are completely Peanut and Tree‐nut free. I hope this helps. Let us know how SunButter may fit your lifestyle--and what you think of it. Of course you can always contact us directly, too. I'm SunButterElizabeth@gmail.com. I hope this helps others to make the decision about whether SunButter is a good choice for them. What a great example of how confusing advisory statements on labels can be.